One of the most comforting truths in the Bible is to know that God doesn't give His children a part-time or even a temporary kind of love. God's love for His own endures forever! However, some people would tell us we can somehow start out being a child of God but then end up being a child of the devil again! 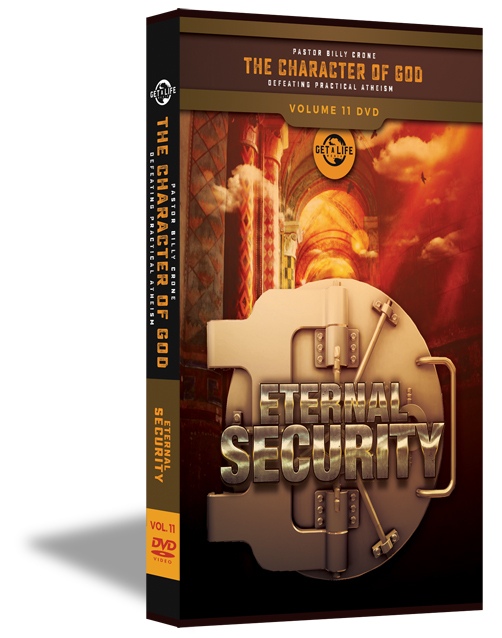 Therefore, this series, Eternal Security, takes a look at the 6 Reasons why people come to the faulty conclusion that God's love is not eternal, or in other words, that you can lose your salvation. It's simply because they've forgotten The Context, The Counterfeits, The Corruption of Man, The Atonement of Christ, The Use of Common Sense, and The Clear Passages in Scripture that clearly state there's no way a true Christian can lose their salvation. This is why the Gospel is called the Good News and that is this. We are not saved on the basis of our performance. We're saved by the performance of Jesus Christ. And that's why we can have Eternal Security!